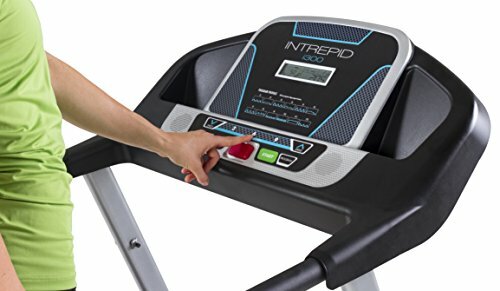 POSTS Intrepid i300 Treadmill Review-- Is It Right For You? If there is one thing that I like more than eating it is a bargain. I love to find something that I need that is inexpensive but still of decent quality. A good deal means nothing if it isn’t going to be functional in a week. When it comes to weight loss, finding things (i.e., gym memberships, equipment, supplements, etc.) that are bargains can keep a weight loss plan on track. The Intrepid i300 treadmill certainly qualifies as a bargain, but it’s one that I would pass on. 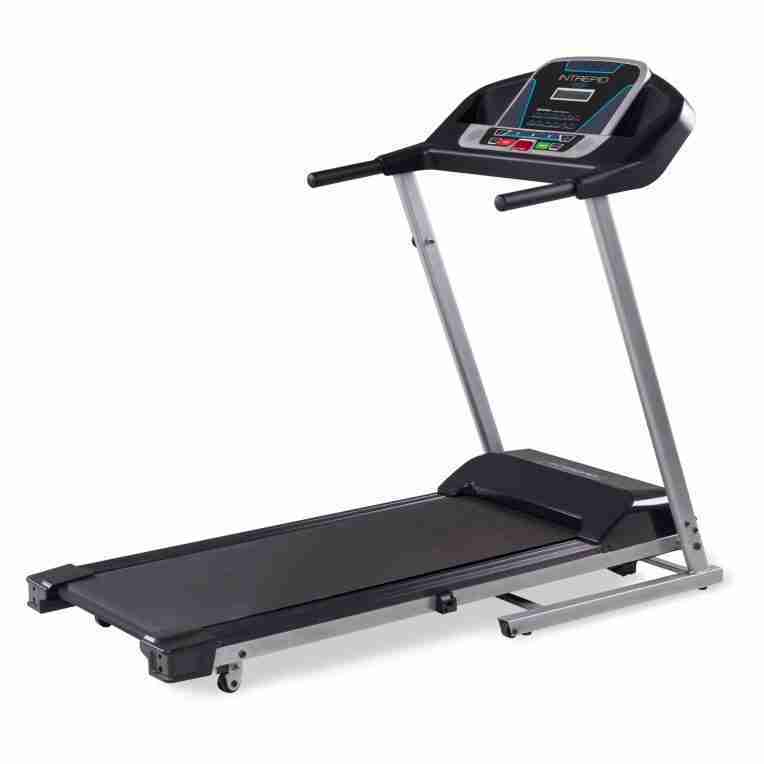 In a nutshell, for the price you are likely going to pay, it should come as no surprise that it lacks a lot of the bells and whistles of a more expensive name brand treadmill. But there are certain things to me that are deal breakers—and this one breaks them all. 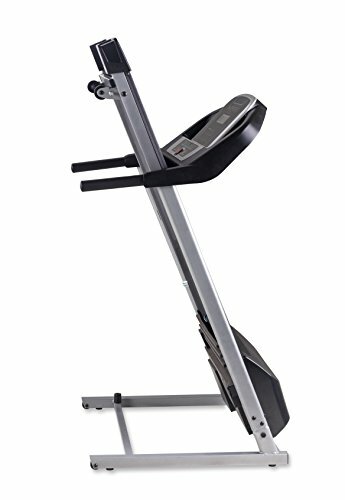 Rather than go with the Intrepid i300 treadmill, I would recommend going with the Freemotion 850 instead. They are not as inexpensive as an Intrepid i300, but you’ll be much happier with a Freemotion 850 over the Intrepid i300. Don’t want to take my word for it? That’s understandable. Okay—so, let’s explore the Intrepid i300 a little more in depth. 3.3 Only supports up to 250 lbs. One person reviewed the Intrepid i300 at Walmart.com and gave it just a single star (out of five). Overstock.com had three reviews listed for the Intrepid i300 with an average rating of 3.7 stars (out of five). Only supports up to 250 lbs. Convenience helps keep people from skipping workouts which is why many people will gravitate towards the Intrepid i300 treadmill. Not only is it budget-friendly (more on that later), it is easy to get started with once you get it home. Many who reviewed the Intrepid i300 online commented on how they felt it was very easy to put together. Most of those who provided a time said it took them from 30-40 minutes. There were a few who did it faster and some slower. But overall, most did it in just half an hour. It probably helps that it isn’t that heavy. It’s not light at 108 lbs., but for an exercise machine, it is considered relatively light. 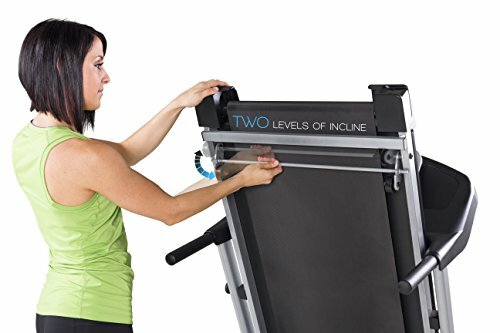 It folds up for easy storage as well making this one of the more convenient pieces of exercise equipment you could possibly have at home. Have you ever been on a treadmill and wondered if you were going to miss the track with each and every step you take? The Intrepid i300 comes with a larger running surface to alleviate those concerns. On top of that, it comes with cushion deck technology as well. That way, much of the impact on your joints from running will be alleviated. If there is one thing that can stop an overweight person from working out faster than the treadmill breaking down its aching joints. Chances are they ache already because of the extra weight they carry around. Add on some pain from jogging on the hard surface of a treadmill, and it becomes unbearable. And just like that, the new workout-oriented lifestyle comes to an end. But thanks to the cushion deck technology included with the Intrepid i300, that will not happen to people using this treadmill. It is easy to lose weight on a treadmill—right? All you have to do is get on the darn thing and then run. But unless you really like running, you are going to be bored out of your mind in minutes. Some will say that you just need to turn on your television or something for entertainment or read a magazine. But if you can focus on a television program or read a book or magazine, are you working out as hard as you could? To a degree, a workout is better than no workout, of course. However, when you haven’t lost any weight in three months, you’ll be pretty frustrated. Thanks to the 12 preset programs, you don’t have to just run, the Intrepid i300 will take you through a workout. Set it for the right speed, and it will give you all the challenge you can handle. The chances are good that if you are looking to get into better shape that you have expenses. You may be looking to eat healthier—which cost more. Appropriate workout clothes may need to be purchased—which can cost even more money. You may be looking to supplement your diet with a product or two from GNC—which most certainly will require you to spend some cash. 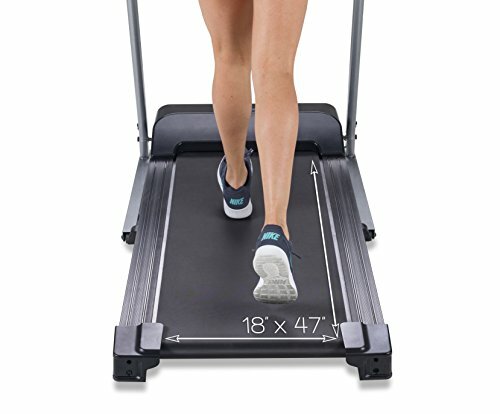 So, if you can save a few dollars on a budget-friendly treadmill, like the Intrepid i300, you just might be able to afford all (or some) of those other things. If you are going to go through all the trouble and work involved with trying to get into better shape, you might as well do it right– right? Saving some money on our treadmill could really make a difference and help you get started. 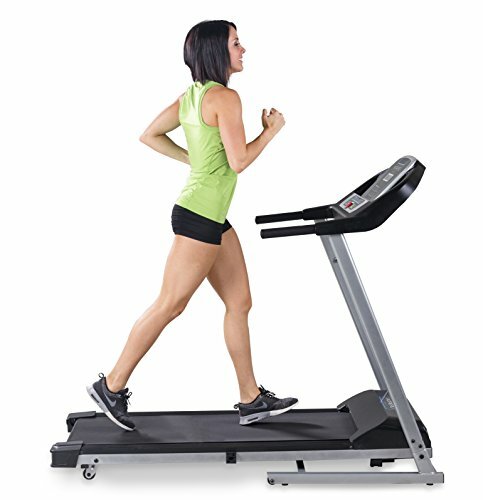 While prices will vary from one location to another and from state to state, comparatively speaking, it is one of the more affordable treadmills on the market. With just a 1.5 HP motor the treadmill is going to top out at 10 MPH. For walkers and joggers that is not going to be a big deal. But for people that are into high-intensity training or interval training, it is going to be a problem. The quick-touch speed buttons for 3 MPH, 6 MPH, and 9 MPH are kind of nice. But if you are looking for something more intense than 10 MPH, the Intrepid i300 is not for you. 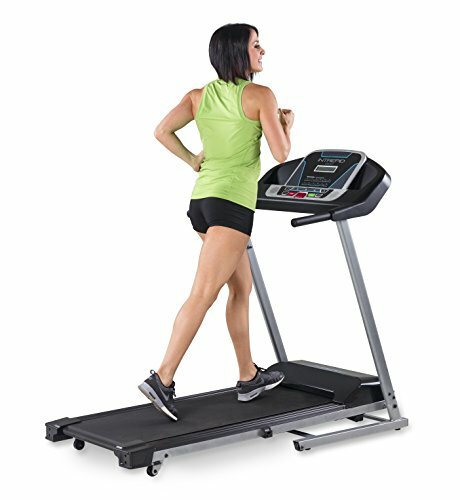 A great way to make a workout harder is by setting your treadmill on an incline. If you feel like you can handle something more strenuous, you adjust it. If you need to make it easier, you can do the same. But with the Intrepid i300, you have to do so manually. Meaning, you have to do it before you get started and if you want to switch it, you have to stop what you’re doing and get off the machine. No one wants to stop a workout every time they want to change an incline. Yes, you could leave it on an incline for the duration. But what if it ends up being too easy? Or too hard? To get the most out of a workout, you need to push yourself. That can sometimes mean knowing when to dial things back—and being able to do so. You can’t do that with an Intrepid i300. I know that it is capable of being used by people larger than 250 lbs. But if you are spending money on a treadmill and weigh more than that, do you really want to be the one 300 lbs. person that it breaks on after one use? What do you think the company is going to say when you try to use the warranty to fix it, and they discover how much you weigh? Easy—sorry, but we told you it wasn’t aren’t for anyone over 250. We can’t help you. It included a lifetime warranty on the frame. But it is made from a heavy-gauge steel frame, so it is highly unlikely that you’ll ever need to do anything with the frame. The motor is covered for just a year and parts and labor for only 90 days. So, you better use it all day every day for the first three months and make sure it can withstand whatever you can dish out. Otherwise, you’ll have to pay to fix it—and if sweating bullets on an Intrepid i300 treadmill aren’t enough to put you in a foul mood, paying to fix it after three months of use will do the trick. Treadmills are a great tool for those looking to start adding some activity to their lives. Yes, you could go for a walk around your neighborhood or do some laps at the local high school’s track. But what if you don’t get home until late? Depending on your neighborhood, it might be more hazardous to your health to go for a late-night walk then it is to skip another workout to watch television and eat bonbons. 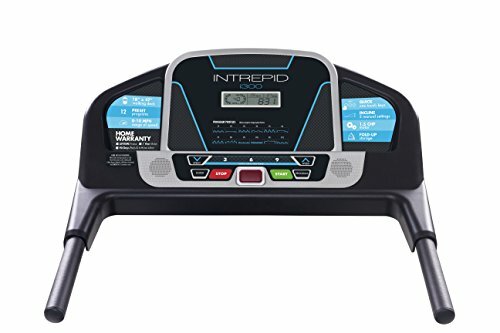 But I digress….treadmills like the Intrepid i300 can be useful for anyone looking to get started doing even a low-to-moderate amount of exercise. 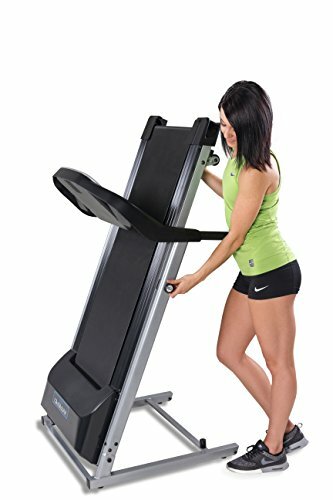 However, since they are only rated up to 250 lbs., most of the people that could really benefit from an affordable piece of equipment can’t use it. I know I sure couldn’t. If you weigh around 250 lbs., unless you are considered very short, chances are you look fine anyway. That’s not to say a person can’t try to get in better shape or that everyone that wants an Intrepid i300 treadmill is worried about how they look. 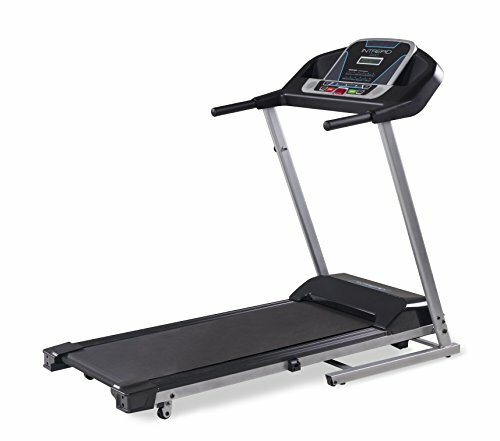 If you are in the mid-to-low 200’s, this is a good treadmill for you. That is, as long as you are not an athlete involved in a super-competitive sport that requires you to train hard. The Intrepid i300 treadmill will not be able to handle what you want to do.